David Cassidy was an extremely successful teen idol during the seventies. He became famous as Keith Partridge in the popular US TV show The Partridge Family. David also had many hit records including Rock Me Baby and Cherish. He found fame hard to deal with, especially after one of his fans died during a stampede at a concert in London. It now appears that drinking is another part of David’s life of which he is struggled to gain control. 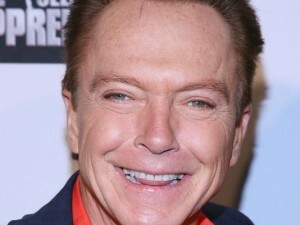 David Cassidy first admitted to having alcohol problems back in 2008. He did this publically during a fundraising event for the Alcohol and Substance Abuse Prevention Council. There were not many details about the extent of his problems back then but in 2010, he was arrested for driving under the influence (DUI). He was arrested again for the same offence in 2012. His third arrest for drink driving occurred in January this year (2014) when he was stopped after making an illegal right turn at a traffic light. It is a result of this latest offence that he has been sentenced to probation for five years and 90 days in an alcohol rehab centre. He had pleaded no contest to the charges and he had already planned to go to rehab. Is Sentencing People to Rehab a Good Idea? Some consider sentencing people to attend a rehab programme controversial. It has been suggested that if the person does not really want to be there, it will just be a waste of time. There is also the argument that being sent to rehab is too lenient because many of the top rehabs are more like luxury resorts in which clients are pampered. The reality is that sentencing individuals to these rehabs is not only an effective solution, many people have managed to build a good alcohol-free life after being sent to rehab. Therefore, the argument really boils down to whether courts should show mercy in the hope that the person will change his or her ways or whether the only concern should be punishment. In order to get the most out of rehab, the individual does need to be willing to make use of the available resources. As the old saying goes, you can bring a horse to water, but you can’t make it drink. The fact is, though, that an inpatient treatment programme provides a therapeutic environment. This means that the fact of just being there can increase a person’s motivation to quit. Plenty of examples exist of individuals who have felt pressured into entering this type of programme but have developed the determination to turn their life around while there. Of course, this does not always happen but, arguably, it is worth a try. The benefit of going to an inpatient treatment programme is that it can provide the individual with all the tools needed to build a great life away from addiction. It is not stopping drinking that is usually the problem but staying stopped. David Cassidy has obviously been trying to come to terms with his drinking problem for a long time, so a spell in rehab is likely to give him the tools he needs to succeed. Will Rehab Work for David Cassidy? The fact that David Cassidy was already planning to go to rehab even before the judge sentenced him to attend is a very good sign. It is a number of years since he first acknowledged his problem, but it is common for individuals to struggle to break free of addiction even after they have escaped the denial. The good news is that David is now taking the steps that can lead him to a better life, and it will be interesting to follow his journey.